Universities across the country opened their doors November 12-18, 2018 to showcase how investments in students’ learning and research spaces help nurture Canada’s next generation of research talent, innovators, community leaders and entrepreneurs. This national open house showcased how these strategic investments are developing the skills and talent Canada needs to compete on the world stage, and are contributing towards building a more inclusive, innovative and prosperous Canada. The University of Alberta is opening its doors to Members of Parliament to showcase how the university is turning research and infrastructure investments into innovative learning and research outcomes for our communities. Through a series of roundtable events, innovation showcases and campus tours running November 13 to November 15, the university will be highlighting cutting-edge research in emerging and established fields, new infrastructure and student learning/entrepreneurship hubs that are fostering the next generation of leaders and innovators. The University of Winnipeg hosted Gary Anandasangaree, Parliamentary Secretary to the Minister of Canadian Heritage and Multiculturalism on November 13 as he made a major funding announcement. The federal government is providing nearly $1.8 million over two years to 16 community-based projects with the goal of preserving, promoting and revitalizing Indigenous languages in Manitoba. The University of Winnipeg will receive $138,769 for community language programs and online language resources for the Wii Chiiwaakanak Learning Centre and the Summer Institute for Six Seasons of the Asiniskow Ithiniwak Project. The funding, provided through the Aboriginal Languages Initiative, will support projects such as language camps, classes, nests and master-apprentice programs offered to Indigenous communities in Manitoba. These projects will also allow the production and distribution of language resources including web based applications, archived material, books, CDs, dictionaries, DVDs, lesson plans, lexicons, magazines and workbooks. Dalhousie University hosted Halifax MP Andy Fillmore on campus Nov. 13th and 14. On Nov. 13, MP Fillmore met with Associate Dean Research for the Faculty of Arts and Social Sciences, Dr. Howard Ramos, as well as Philosophy Professor Dr. Duncan MacIntosh and Saint Mary’s University English Professor Dr. Teresa Heffernan. They discussed (and livestreamed) a panel hosted alongside the Federation of Humanities and Social Sciences on the social implications of artificial intelligence. 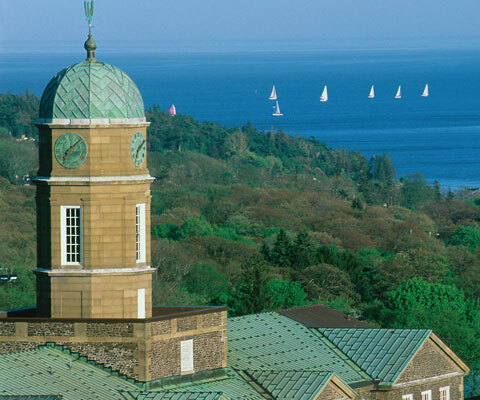 In 2019, Mount Saint Vincent University will open the doors of its new Centre for Applied Research in Human Health. 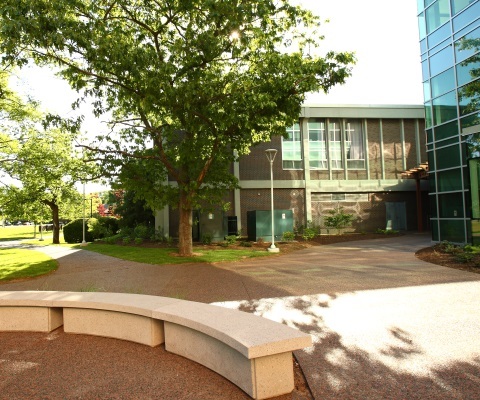 The $4.5 million capital revitalization will completely retrofit an existing university building with state-of-the-art laboratories, new collaborative research spaces and a space dedicated to housing a new nuclear magnetic resonance spectrometer. In-house NMR capability will give MSVU’s leading researchers unprecedented access to imaging small molecules. Join us on Friday, November 16 as we celebrate student entrepreneurship and innovation. With a special presentation from Enactus Saint Mary’s, showcasing their award-winning social enterprise, Square Roots, tackling food insecurity. 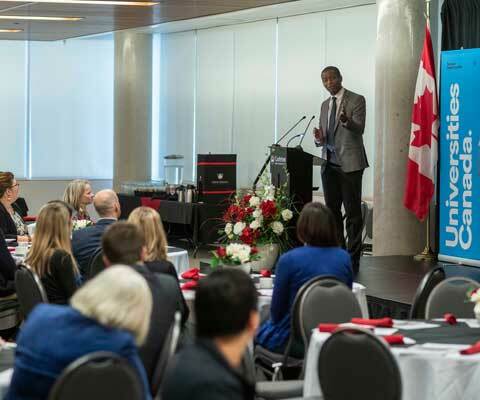 Carleton University president Benoit-Antoine Bacon and Universities Canada vice-president, policy and public affairs, Pari Johnston, invite you to a celebration of federal government support for research in Canada. The event is a kickoff for Universities Canada’s “Open Doors, Open Knowledge” week. This gathering will include a breakfast with remarks from a representative of the Government of Canada and a panel discussion with Carleton students talking about the importance of their research. As a foundational partner at the Royal Agricultural Fair, the University of Guelph is showcasing its unique focus on agriculture and food. The university has a 2,700-square-foot exhibit – ‘A Place to Grow’. This year’s interactive space will highlight U of G’s innovations and discoveries which help propel Ontario and Canada as a global leader in safe, nutritious and sustainable food. The University of Guelph is hosting a reception to bring together industry and policy leaders in the agriculture and food sectors. 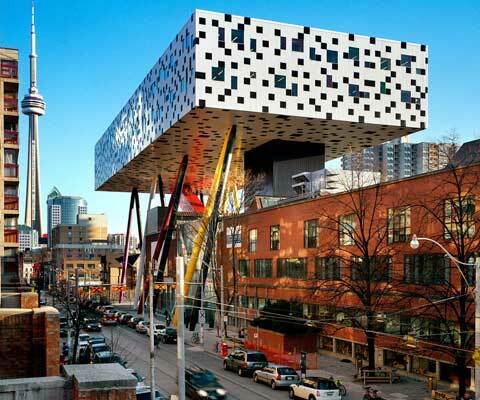 OCAD University is opening their doors to their stunning new waterfront facility is home to OCAD U CO, their new executive training studio. It’s also a centre of design-driven research and houses the commercialization and innovation work of Imagination Catalyst, OCAD University’s entrepreneurial hub. Join Trent University for this celebration of the transformed Bata Library, hosted by president Dr. Leo Groarke and Chancellor Don Tapscott. Hors-d’oeuvres and refreshments will be provided. The University of Waterloo held the Official Grand Opening of the Engineering 7 building on Monday, October 29, 2018. 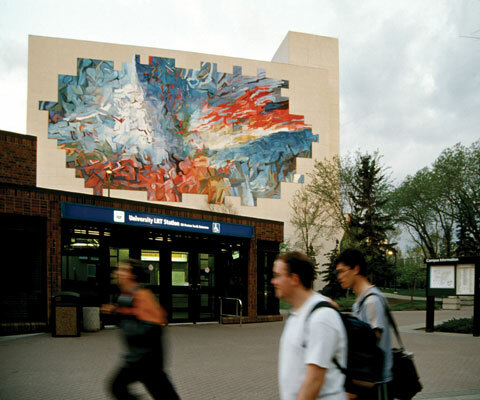 The university celebrated this significant addition to Waterloo Engineering and the successful completion of their Educating the Engineer of the Future campaign. The Open House provides an ideal opportunity to discover or learn more about the university and its programs, services and facilities. Engage with faculty and students on campus, attend one of the many presentations or take part in a guided tour, all in one day!